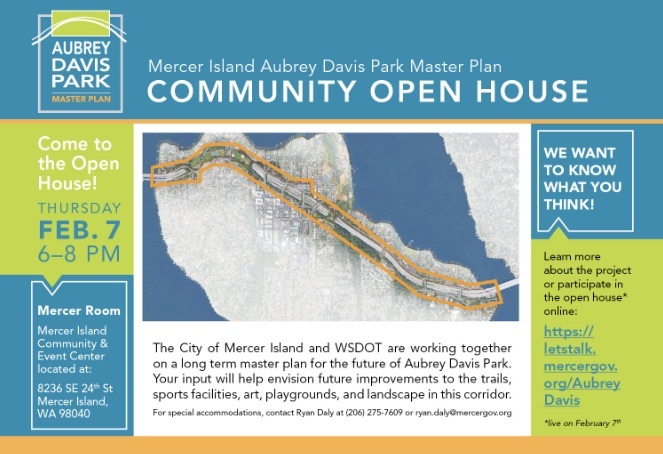 Neighbors in Motion - Mercer Island: Aubrey Davis Master Plan Open House - Feb 7. You're Invited! 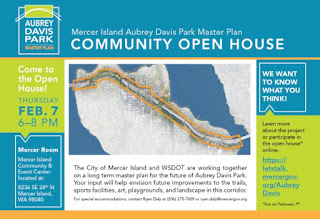 Aubrey Davis Master Plan Open House - Feb 7. You're Invited! Learn more about the master plan, view project updates and share your feedback with City staff. Time: 6-8PM.